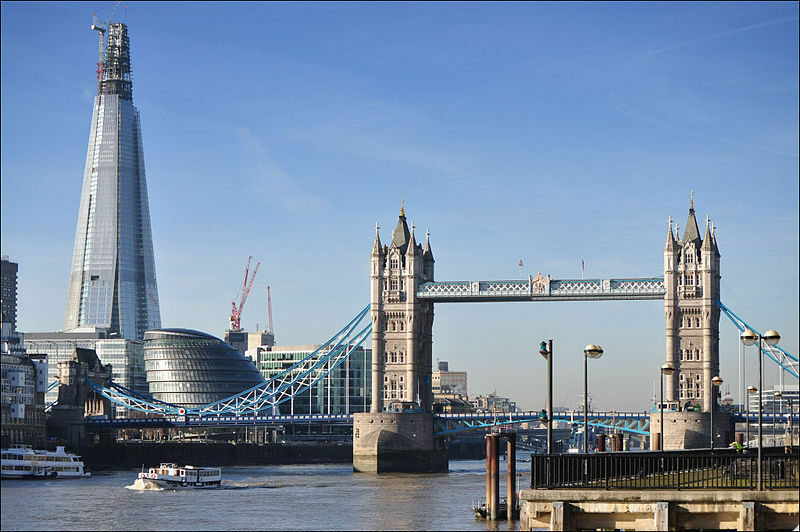 If you've ever flown in to Heathrow over London on a clear day, you'll probably have been mightily impressed by the sheer physical beauty of this wonderful city, its delightful mix of architecture and abundance of green parks and squares. The disappointing part about being cooped up in a plane is that the view passes pretty much in the blink of an eye; no sooner have you pointed out one or two famous landmarks to your travelling companion than the wheels have hit the tarmac and you're taxiing slowly across to Terminal 5. If only there was a chance to pause and enjoy that stunning view, to ponder its magnificence, to drink in the delightfulness of one of the world's most famous cities - OK, I'm getting a little carried away here, but really, the mere sight of London is something rather special, wouldn't you agree? The good news is that soon there will indeed be a way to get your head (almost) in the clouds, a place to go to overlook England's capital. It's called the Shard, and if you didn't know the name, you'll know the building, because just about everywhere you go in London, the tall, pointy structure seems to always be there. 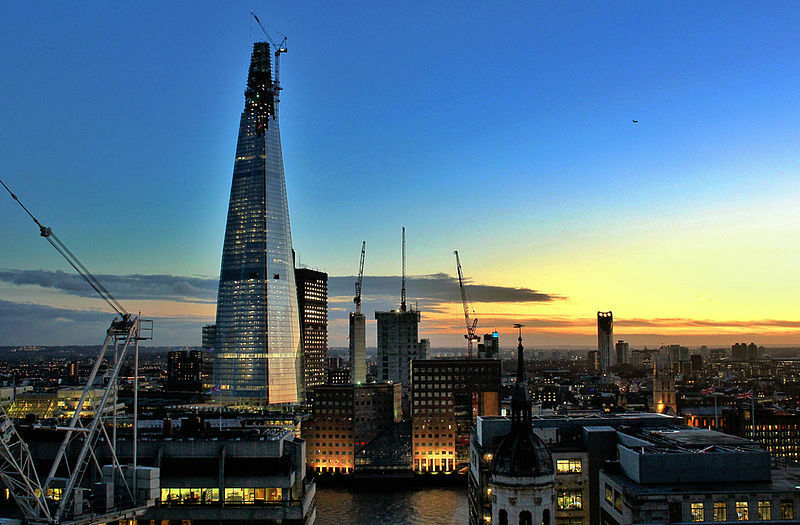 The Shard, located close to London Bridge, opened in July 2012 and at 310 metres is the tallest building in the European Union. Against London's 'little' skyscrapers, it seems rather on the massive side, though the reality is that in world terms it's not that big (45th tallest building). 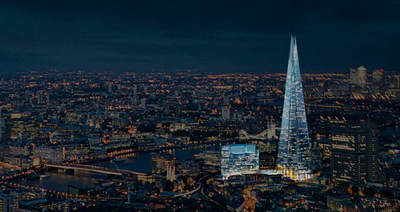 Still, let's not do the thing down; instead let's welcome it with open arms into London's ever-changing skyline. The 72-floor structure houses offices, restaurants, a hotel, a spa, residential apartments and, best of all, a viewing gallery and open-air observation deck. 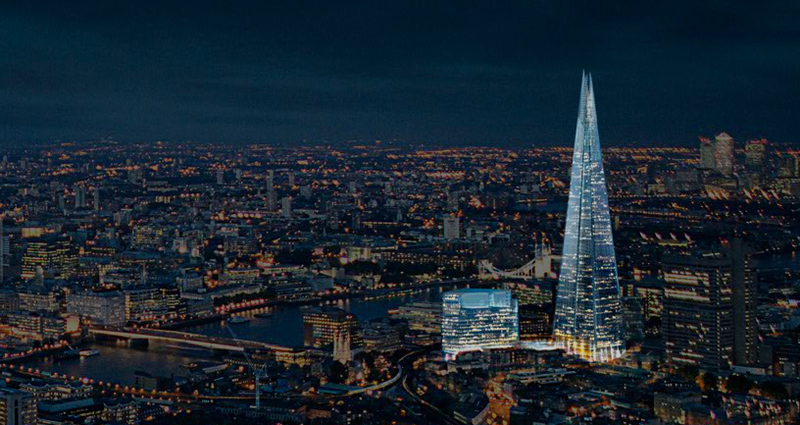 Amazing views of London can be had from a number of spots across the city, but spectacular views may well be the preserve of the Shard. The gallery and deck, located at the very top of the building (where else?) is, unfortunately, not a cheap place to reach. You'll be asked to part with twenty of your hard-earned pounds on arrival at the ticket office – as a comparison, that's a fiver more than the London Eye. But if you like breathtaking vistas, you won't be disappointed. London, far below, looks like a toy town; peer into the far distance and you'll see the steadily retreating green land that surrounds this still-growing city. Forty miles or more, you can see – as long as the weather is on your side and the clouds don't hang too low. Tickets for the View from the Shard go on sale on 6th July, with the viewing decks opening to visitors in February. There will undoubtedly be a clamour for these tickets, so best get in early and secure your place. It'll surely be a sight to savour. Why? 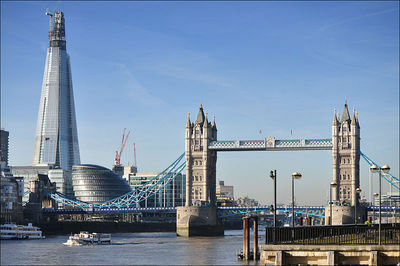 Look at London in a different way. When: See website for exact times.